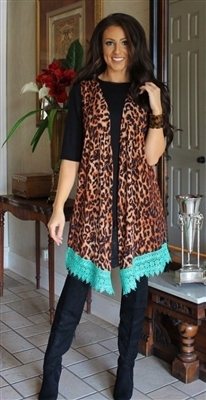 Leopard print long vest cardigan with mint green crochet detail. Very vintage Victorian sure to turn heads. Regular sizes sold out already. SOLD out online!